What better start to a romance than mutual involvement in the Public Health Agency of Canada, eh? Marc and Lindsay's story has just such a beginning, and the tale, when told over a couple of beverages by the pair together, is full of comedy, suspense, adventure, and at least one near-miss. These two now live and work together in the far northern city of Iqaluit, Nunavut. I had to pull up a map just to get a grasp of how far they'd be coming to get married at Heather Mountain Lodge. Check it out. A = Iqaluit. B = Golden. Whoa. 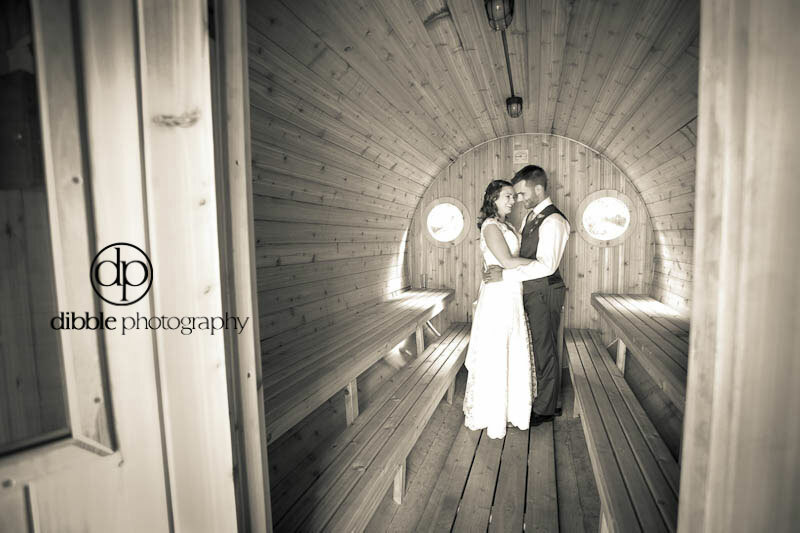 The weather was exceptional for the wedding at this stunning little lodge along the Trans-Canada in Rogers Pass. Family and friends had come from all over to celebrate, play lawn games, lounge in front of the mountain views, and generally enjoy one another. And enjoy the fine food crafted by HML's chef, Dan Bracko. It was a classic summer wedding in the mountains, with all the right touches. 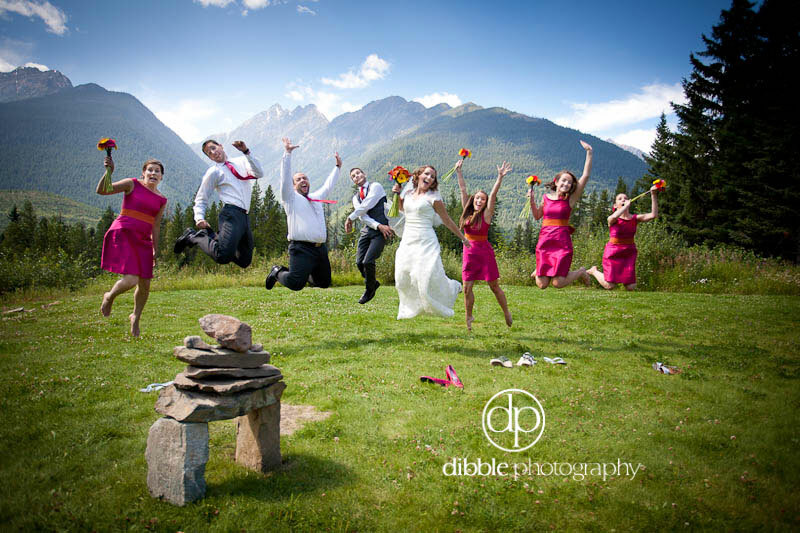 And with a few northern touches as well, including an inukshuk built during the ceremony. Loved it.